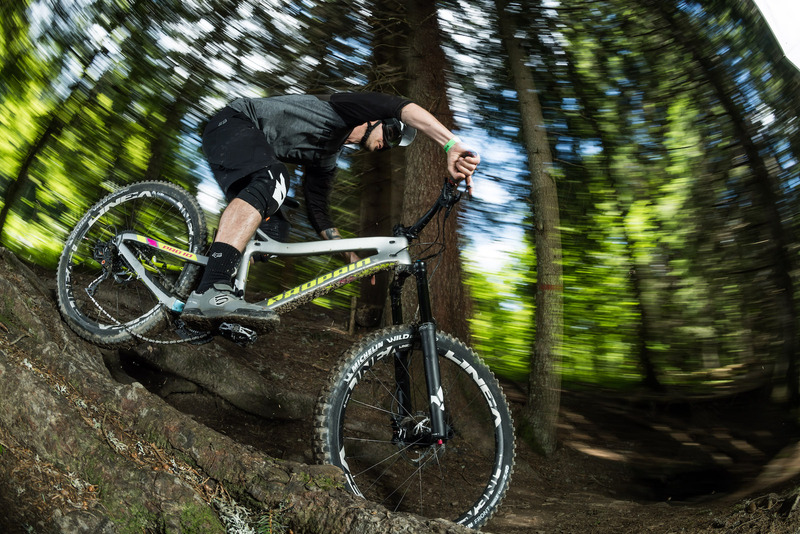 At the Bike Connection Summer in Les Gets, Formula presented the new Selva R fork to the media, giving us a chance to try it on the trails of the French bike park, well ahead of its official launch on November 15th. 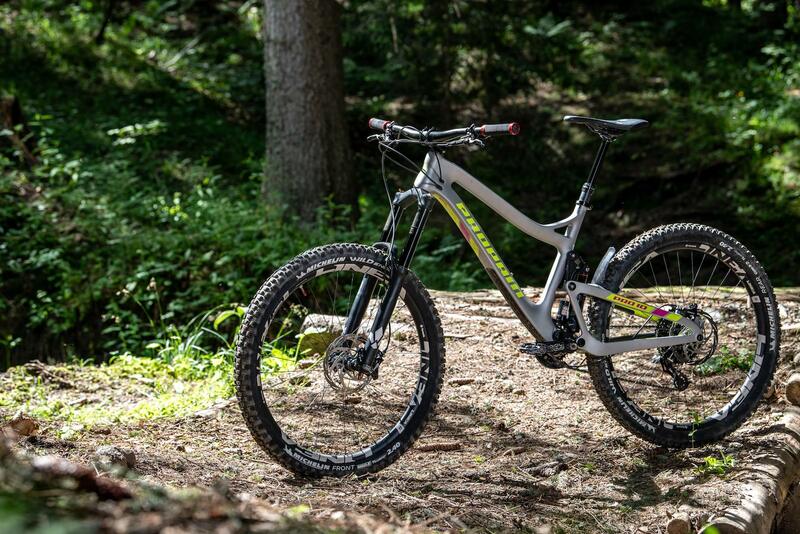 It is in fact a preview of what will be the flagship fork in the enduro range from Formula, which will join the Selva that’s currently on the market. When we have all the information and specifications on the product, we’ll cover the entire Selva range more thoroughly. 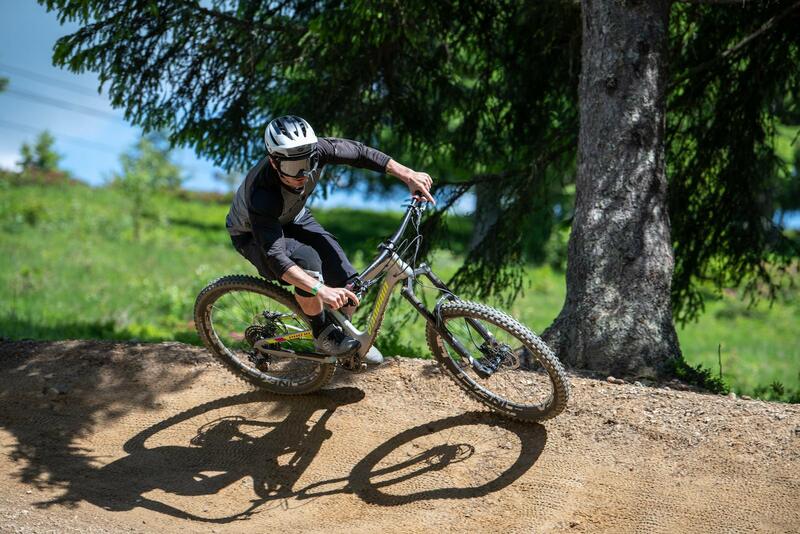 For now, we’ll be going over our first impressions of the Selva R based on our experience with it in Les Gets. For starters, the whole new range of Formula forks will don new graphics, sober and minimal. 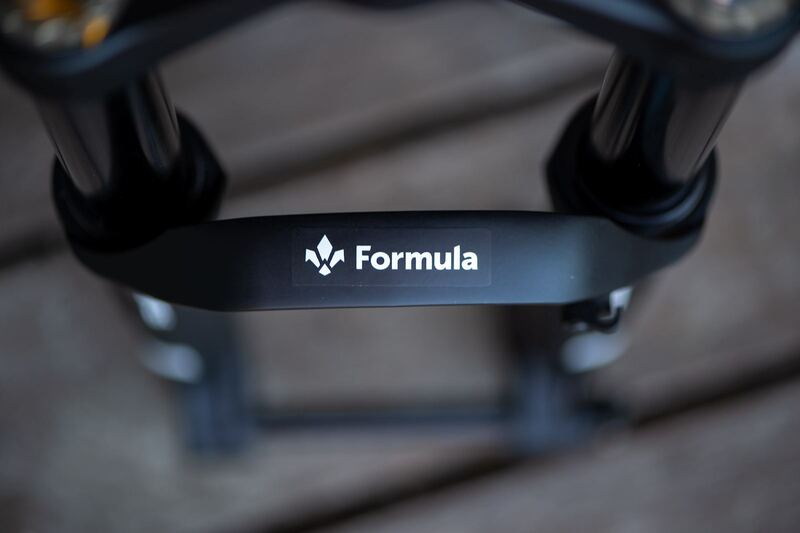 A decal with the stylized lily that represents the updated Formula logo will occupy the bottom of each leg of the lowers while the simple writing of the model on the front of both legs will identify the fork. The word Formula, flanked by the small logo, will appear exclusively on the arch. 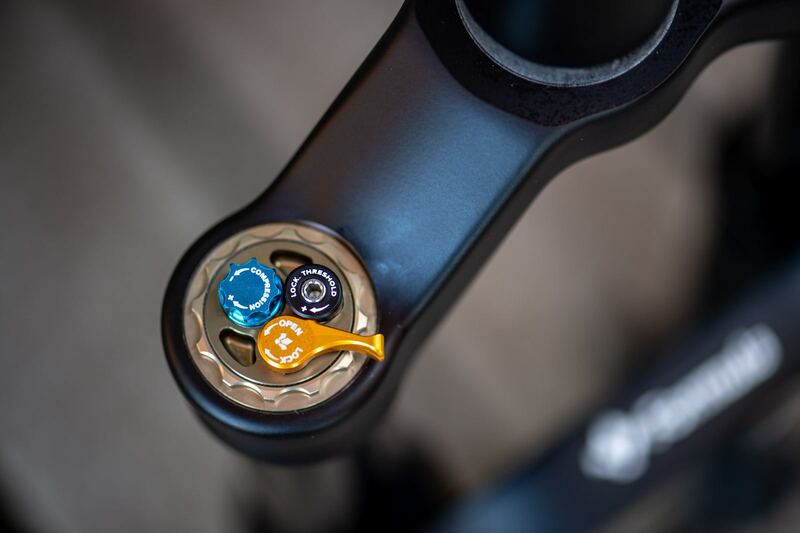 The external damping adjustments have been revamped, retaining the hallmark shape of all the knobs of the Formula forks, but with some important updates. First of all, the knobs have a lower profile for improved clearance on the crown, to avoid possible interference with the frames when fully turning the bar. The upper part of the knobs is now flat and this has made possible the laser etching that indicates the knobs’ duty, and the direction in which it should be rotated. To remove the knobs it is now necessary to loosen a grub screw placed on the edge of the knob, this operation is necessary to replace the CTS valves that control the compression curve of the hydraulic part. Now let’s see some of the actual innovations introduced by Formula with the new Selva R, a product that retains the same characteristics of the Selva in terms of structure and hydraulics, which adopts a new two-chamber air cartridge, inspired by the three-chamber cartridge of the Nero DH, but scaled for the shorter travel required for the intended enduro usage. The R letter, as tradition in the world of MTB, stands for Race and identifies the flagship Selva, aimed at predominantly competitive use. The Selva R in fact offers further possibilities of adjustment and customization compared to the current model thanks to the negative air spring instead of coil negative spring, which can be managed completely independently of the positive chamber. The negative chamber, inflatable by a traditional high-pressure suspension pump, is accessed at the bottom of the lowers, where the valve is protected by a bronze-colored aluminum cap. Here, a sticker indicates the inflation procedure, which is very simple: with fully deflated fork, firstly inflate the positive air chamber with the proper amount of pressure based on the rider weight, then close the hydraulic lock-out (gold lever) and lastly inflate the negative chamber. The recommended pressures, to get a useful starting point for the initial setting of the Selva R, are printed on a sticker placed on the back of the lower casting, obviously on the left side at the air cartridge. The table shows the recommended pressure for both chambers based on rider weight. The basic difference in the table between positive and negative chamber pressure is 20psi. Formula recommends not to deviate too much from this ratio, with a maximum difference of about +/- 5psi with respect to the indicated value, thus maintaining this proportion between the two chambers, designed for optimal behavior and to avoid that the fork extends too much or is compressed too much and losing travel. 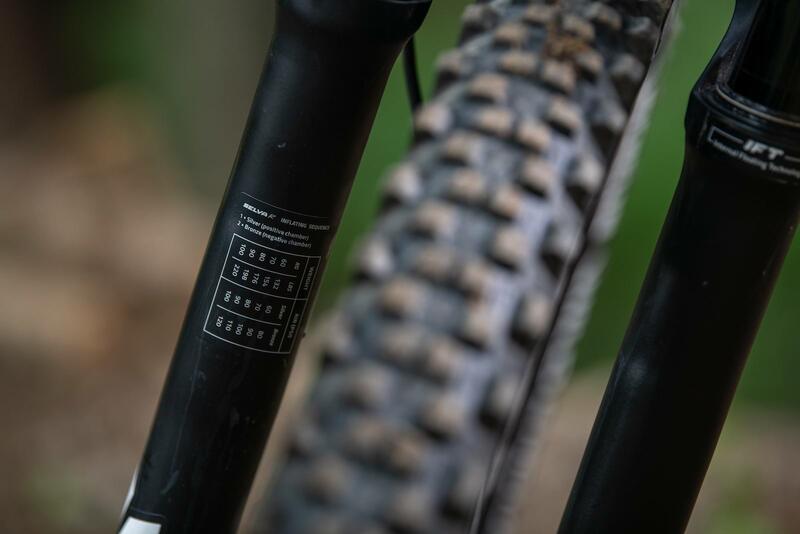 Once I got to the trails, that allowed me to understand the substantial differences compared to the Selva fork with a coil negative spring, which I usually use. 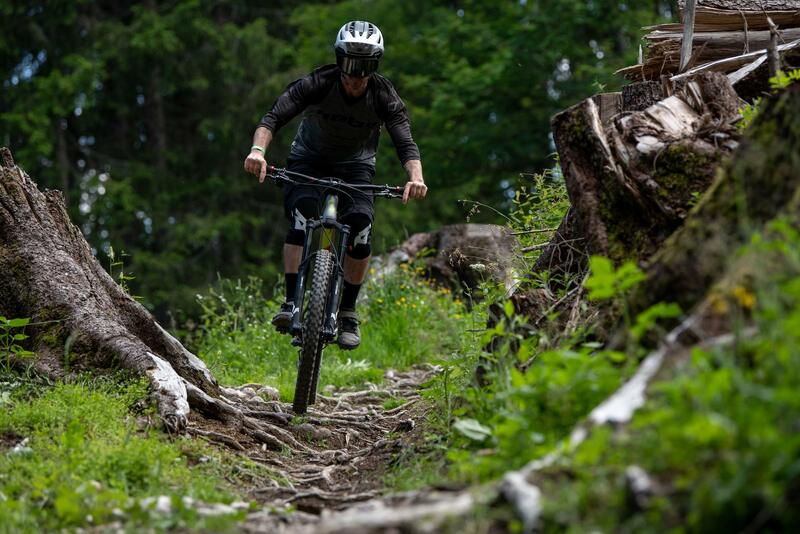 I rode the Selva R with 180mm of travel, ideal for the Les Gets bike park, mounted on a 27.5″ Propain Tyee Carbon with 160mm of rear travel with Formula G wheels fitted, which I had already tried during my first ride on the Nero fork. The Propain was also fitted with the exceptional new Formula Cura 4 brakes, which I will discuss shortly in a separate, dedicated article. 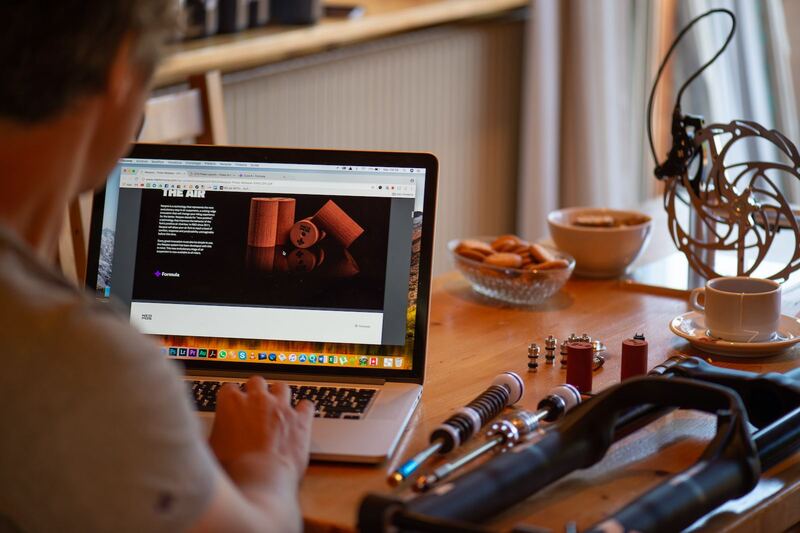 Luca Rossi, the engineer behind the Formula forks, took care of the settings of the fork I used, evaluating my preferences and obviously my weight to set the correct initial pressure in the two chambers. Given the type of tracks – fast, rough and not particularly steep, he preferred to mount a CTS Special Medium valve instead of the Special Firm that I usually use on the Selva. I did a first test lap, immediately feeling in tune with the bike and the fork, thanks to an accurate baseline setting from the very first lap which allowed me to save time, focusing on the performance in the following laps. Compared to the current Selva, it’s worth noting that the negative air chamber helps to decrease the initial breakaway force, providing additional initial sensitivity to a fork that is already excellent in this respect. The benefits from the ability to adjust the negative chamber in a specific way, according to your weight are evident for a lightweight rider like myself, who barely get to 70kg geared up. In fact, the adjustment of the negative chamber can be managed more accurately than a single, coil spring that covers a range of riders from 60 to over 100kg, counteracting the positive chamber’s pressures ranging from 60 to 120psi. For those wishing to upgrade, it is possible to mount the Selva R air cartridge in the current Selva. After a couple of laps in the famous, root covered Canyon track of Les Gets, plus a ride on the main high speed track in the bike park, I had a better understanding of the behavior of the new Selva R “natural”, I returned to Formula’s base where Luca inserted a Neopos in the positive chamber, so that I could also try the Italian brand’s latest, interesting novelty. It’s a volume reducer made with a closed cell polymer that, thanks to the compressibility of the material itself and its reaction in extension, not only involves increasing the progression at bottom but manages the entire compression curve and the elastic response of the fork. An extremely simple product, although the search for the most suitable material for this purpose has involved an enormous amount of research on Formula’s behalf. With the Neopos inserted in the Selva R, with the same damping settings, I left for another round on the hill to immediately compare the behavior of the fork. 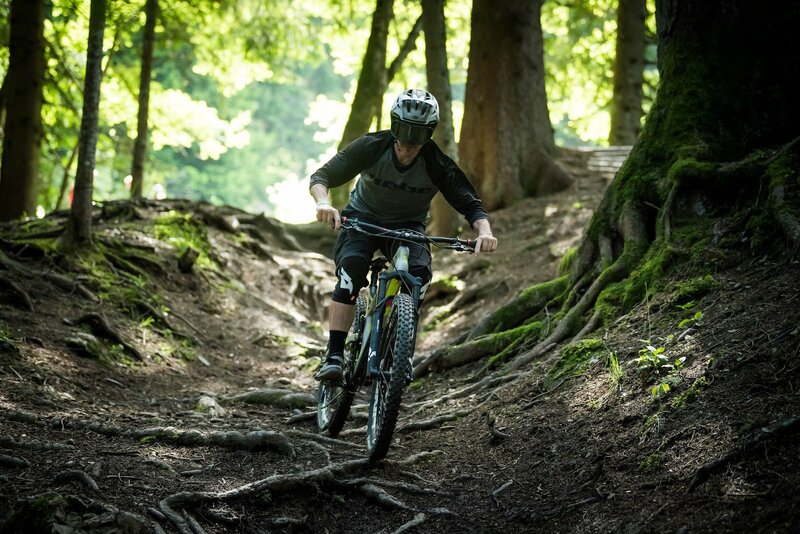 Since the first part of the bike park, is littered with braking bumps, between jumps and in the fast corners, I found a more supportive behavior from the fork would work better. It was slightly more progressive and with an almost “muffled” feeling both on the small bumps in rapid succession. I felt that the Neopos reducer was effective in softening the generally abrupt behavior of the air spring, aiding in smoothing out the transitions and directional changes, all while preventing me from sinking into the travel. In the same way, I noticed, however, that the rebound behavior of the fork is also affected, with an evident slowdown that required two clicks less at the rebound knob. This was quite interesting, to say the least. The different behavior in the rebound phase is due to Neopos’s ability to slowly return to its original form, regardless of the speed at which it is compressed. A similar behavior, to be clear, to that of viscoelastic materials. This provides a sort of stabilization of the extension of the fork which is reflected in a more fluid and predictable behavior, which is less nervous, similar to that of a coil sprung fork. 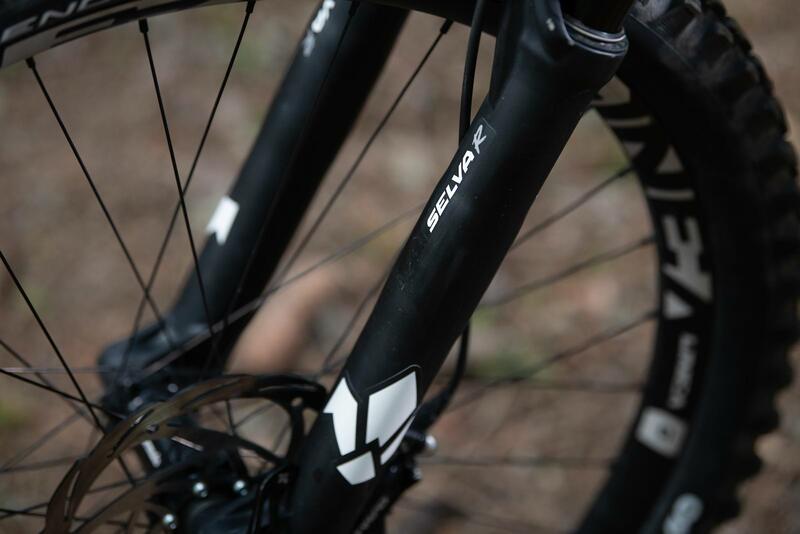 In general, the behavior of the Selva R with the Neopos inside it brought about an overall improvement to ride quality. Thanks to the fact that it is even more supple and supportive, you can charge harder and ride over the front more, gaining confidence, with precise changes of direction and a very lively but absolutely not abrupt behavior, indeed docile and predictable. At the end of a whole day of riding at Les Gets, which always tests me physically, I did not find any fatigue in arms and hands. 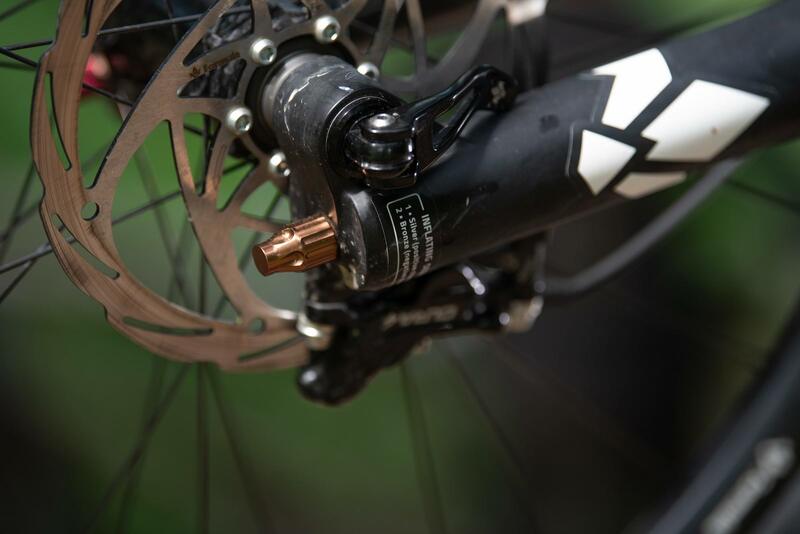 We will soon be receiving a Formula Selva R fork to be tested in a thorough, long term test. For now, we await all the details of the official presentation on November 15th.